Home Unlabelled Fastjet decides to carry cargo in partnership with BidAir. Fastjet decides to carry cargo in partnership with BidAir. Fastjet has finally decided to go into cargo business on its Tanzanian routes aiming to provide additional revenue stream for the airline. The supposed to be a low cost airline, has signed an agreement with BidAir which is one of Africa’s largest cargo operators, to carry cargo on its fleet of Airbus A319s. 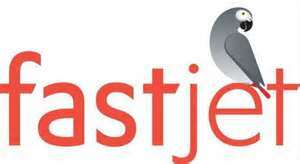 One of BidAir’s staff briefed that, at the moment with fastjet they are transporting only dry cargo especially newspapers from Dar es salaam to Mwanza. BidAir is also in partnership with Precision Air which is a strong competitor of Fastjet in the aviation business in Tanzania. In Tanzania there is still a huge potential in air cargo business due to the challenges presented by poor roads and other means of transportation. From Dar es salaam there are high cargo demands to Comoro, Mwanza and other routes.